Your eyelids contain oil glands. 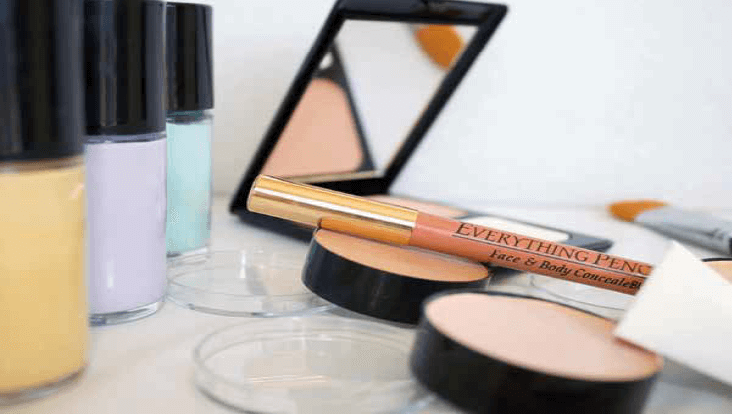 To keep eyeshadow from disappearing apply an eyeshadow primer to blot the oil. 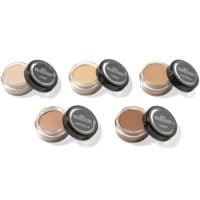 Eye shadow primer is applied to the lid and under the brow, and helps cover vein discoloration as well. 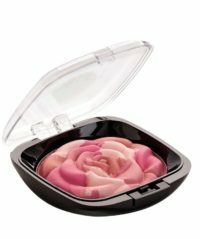 It will hold your eye shadow on all day, and will prevent it from creasing. For this reason, it is best to use a primer instead of foundation which tends to be oily. 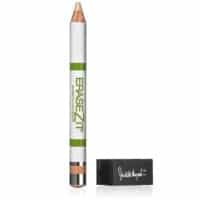 The Everything Pencil™ is a perfect primer for this because of its consistency. You can also find shadow base in a mascara-type wand, a tube, or a little pot, usually in a neutral shade. 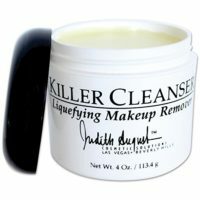 Apply with your finger-tips, or clean eye sponge applicator, and blend. Proceed with your eye makeup. A Cinema Secret for droopy eyes! 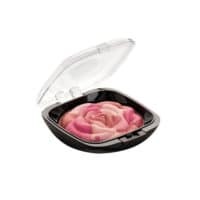 Take a small applicator and dip it into a highlighter makeup and apply on the outside corner of your eyes, blending it out and leaving a hint of highlight. This will visually open and lift your eye. False Eyelashes Opens, Brightens, Lifts Droopy Eyelids! Droopy eyes can be lifted by applying eyelashes. You can add either individual lashes or clusters to the outer corner and/or the center of the upper eyelid. This technique opens the eyes and maximizes the look of big and beautiful. A full strip of lashes will defeat this purpose. Curl eyelashes first, then add mascara, (black is usually preferable); apply eyeliner to prevent skin from showing between natural and false lashes. The closer you apply lashes to your lash line, the more natural they will look. Be careful of using a whole strip of eyelashes if natural is the effect you are looking for. Apply glue onto the lashes, let dry for 30 seconds until “tacky”. Pick up lashes with applicator or tweezers, add to base of eyelashes and hold till set. Keep adding till desired look is achieved and droopy eyes are camouflaged. 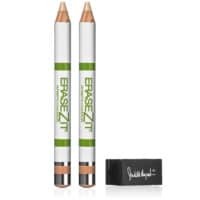 For longer wear, finalize with an additional application of liquid or gel liner. Choose eyelashes made of human hairs in a blend of black and brown. Start off with just a few and add where needed. Practice is the key to successful application. NOTE: Black glue dries more quickly and speeds the process. I have five words to say about eyelashes. Curl! Curl! Curl! Curl! Curl! There is no quicker, cheaper, faster, lift than curling your eyelashes. It opens the eyes, lifts your lids and makes you look years younger. Let’s get started to achieve your flawless & fabulous finish! 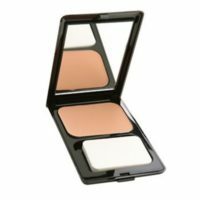 Basic liquid or cream foundation matched closely as possible to your facial skin tone. Three concealer shades: one that matches your skin tone, one that’s a shade lighter, and one that’s a single shade darker. One or two neutralizer colors tints for your special needs. Basics are green, pinky orange, yellow, and sometimes lavender. Loose translucent powder and a large velour powder puff. 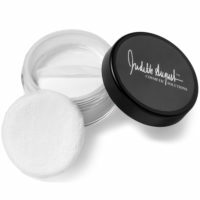 Non-latex sponges* – little triangular shapes are great for smoothing and blending especially around the eyes and nose. They’re easily available at most drugstores and cosmetic counters. *People with sensitive skin might be allergic to latex. Cotton pads for blotting excess makeup, cotton swabs for erasing mistakes, hand sanitizer, tweezer, eyelash curler, and pencil sharpener. Add to your kit a fixing spray to help makeup stay in hot weather or under lights. Of course you will add your personal color palette. The Everything Pencil™, a Judith August exclusive, is convenient and easy to control. 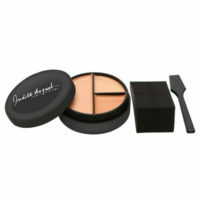 A creamy formula, it is heavy enough to cover up yet lightweight enough to blend easily. This pencil contains Vitamin E, Aloe Vera and is doctor approved. Keep pencils in the refrigerator before sharpening.